Nancy J. Altman of Social Security Works speaks about the imminent threat to Medicare — and how Americans can fight to save it. She wrote “Medicare Will Be Gone By Next Thanksgiving If Republicans Have Their Way” for the Huffington Post. Our What You Need To Know series interviews experts on current news topics to counteract fake news and propaganda. Fifty-five million Americans depend on Medicare for their health insurance — and 10,000 more are being added every day. Medicare is far more cost-effective than private health insurance and allows the greatest choice. Senate Majority Leader Mitch McConnell may use a parliamentary procedure called reconciliation to bring Speaker Ryan’s plan to destroy Medicare to a vote ― and it could happen as soon as this January. Reconciliation would allow this devastating bill to pass by a simple majority, without the opportunity for a filibuster. Nancy J. Altman is founding co-director of Social Security Works. She spoke with Francesca about the imminent threat to Medicare — and how Americans can fight to save it. She wrote “Medicare Will Be Gone By Next Thanksgiving If Republicans Have Their Way” for the Huffington Post. Arent the republicans endangering their so called jobs if they screw millions of americans out of what they have paid for their whole working lives.the people in congress doesnt know what it means to work hard basicly their hardly working. Cant we all come together and demand cuts to their pay and benefits. We should be able to vote on what they get from us. After all we the people are the united states. Michael, you may be interested in signing this petition. It will be delivered to Paul Ryan by Bernie Sanders. leave medicare alone! It’s not like at our age we can go back to work & have an income. 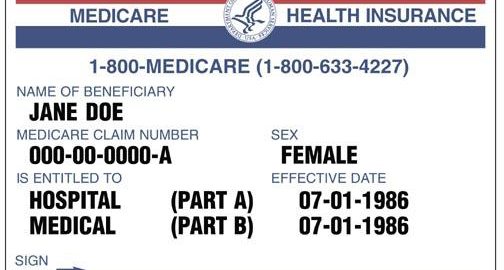 We paid our 40-50+ years into this medicare/social security system- and then it is stolen away from us. Why not take a reduction in the house/senate/presidency/ congress. Half of you during the Obama Administration didn’t do your job. We deserve a refund from this political system! These federal/state employees were paid for nothing by us tax payers- & they didn’t do their jobs! Everyday citizens would have been fired long ago with their behavior. It’s obvious that, without proof to their claims, the republicans have Wall Street in their pockets. Can anybody give us a REAL reason why Ryan and the republicans are so obsest with destroying Social Security and Medicare ? Two reasons: they hate government and their donors would stand to make huge profits. Ideology and self-interest go hand in hand. Who would cut taxes for the VERY rich while taking away our medicare?? Now if everyone in government had to be on Social Security and Medicare instead of the fancy plans they voted for themselves…plus they actually earned their money by working instead of breaking every few days..possibly the entire picture would change. Let’s get that ball rolling! This is just flat IMMORAL if not illegal!!!!! WRONG!!!!!!! Will this affect my disability in my 40’s?